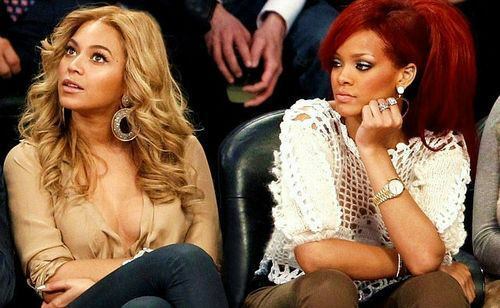 That Awkward moment when two of your fav women in the whole world are beefing? Arghh!! Say it ain’t so! Pls say it ain’t so! Thing’s were cool only just a few weeks ago!! Not one to go on speculation and theory lol! But Rihanna’s been throwing serious serious shade lately, no names are needed, the whole world gets who her subliminal’s are directed at below! Each time I read her captions my heart breaks over and over again! Like ouch! Her hashtags; disrespect at its highest! LOL! I honestly have to laugh this off! Whatever triggered this; be it Beyonce’s Bow Down track or an incident or situation were totally oblivious too and may never hear about, we ain’t gone hear the end of this for a long time! You could say I don’t have an opinion, I honestly don’t lol! love em both too much! Just hope it ends here & Beyonce don’t feel like she needs to reply or reference this! The two need to chill please! 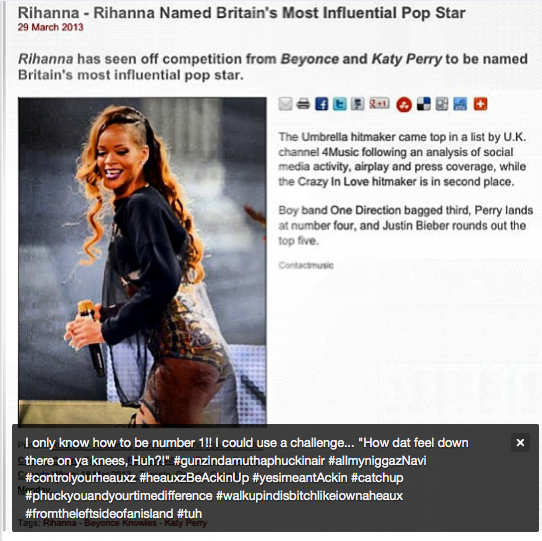 Beyonce is too grown & classy for stuff like this and Rihanna is a thug, push her & she won’t stop lol! Jay Z speak to your girls!!! LOL! MRS CARTER WORLD TOUR WARDROBE!